Majority of Voters Oppose Syrian Refugee Resettlement in U.S. 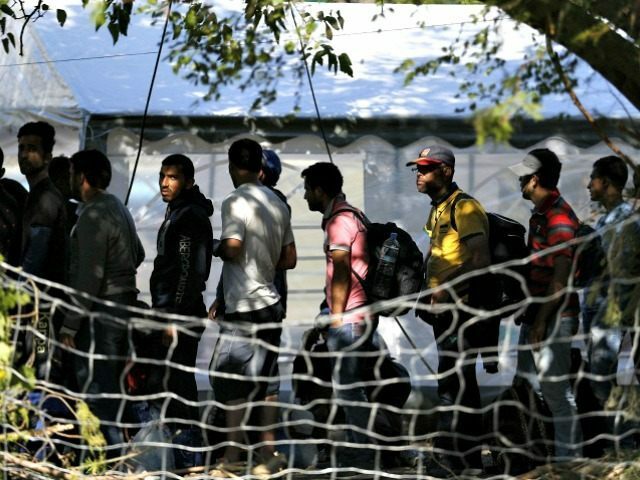 Poll: Majority of Voters Oppose Syrian Refugee Resettlement in U.S.
A majority of American voters oppose resettling Syrian refugees in the U.S., according to a Quinnipiac University National poll released Wednesday. Quinnipiac reports that voters largely opposed accepting Syrian refugees, 51 percent to 43 percent. Republican and independent voters were more likely to oppose accepting Syrian refugees than Democrats, with 82 percent of Republican and 51 percent of independent voters opposing Syrian refugee resettlement in the U.S. Meanwhile, 74 percent of Democrats say they are in favor of accepting Syrian refugees. While most voters said Syrian refugees should not be allowed to come to the U.S., most voters opposed banning all Muslims from coming to the U.S., with 66 percent of voters opposing the idea and 27 percent supporting a ban. A majority of Republicans, however, 51 – 41 percent, approved of a ban on Muslims entering the U.S. Democrats largely opposed a ban, 79-18 percent, as did independent voters, 67-22 percent. “American voters are making a distinction between Syrian refugees and Muslims in general. A bare majority says keep the Syrians out, but an overwhelming majority rejects proposals to ban all Muslims from our shores,” Tim Malloy, assistant director of the Quinnipiac University Poll, said in a statement. A majority of American voters also said homegrown jihadists pose the greatest terrorism threat — 55 percent — and 18 percent said radicalized foreign visitors posed the greater threat, while 15 percent said terrorists infiltrating Syrian refugees posted the greater threat. “Concern about a terror attack is widespread, but it is more likely lurking around the corner than imported from a distant land an ocean away, voters say,” Malloy added. The poll of 1,140 registered voters was conducted from December 16-20 and has a margin of error of +/- 2.9 percentage points.